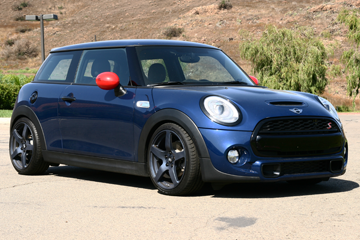 Select the Year & Option of your Cooper to view available Brake Kits. The original Mini was produced by the British Motor Corporation and successors starting in 1959. In 1994 BMW acquired the Mini and set out to redesign the car to fit with BMW standards and started the production of the Mini. In 2001, the new generation of the Mini was introduced with hatch/hardtop models including the Cooper and Cooper S. In 2005, the Convertible model was added to the Mini lineup, and then in 2007 the all-new second generation of the hardtop/hatch model was introduced. In 2008, the Mini Clubman became available with more interior room and 4 doors. The second generation of the Mini Convertible was unveiled at the 2009 Detroit Auto Show. In 2011, the Mini Countryman was launch as the first Mini crossover SUV. 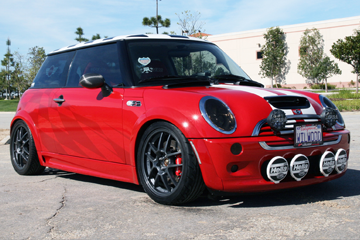 Wilwood Disc Brakes has designed big brake kits for the line of Mini cooper models to improve the braking capabilities. 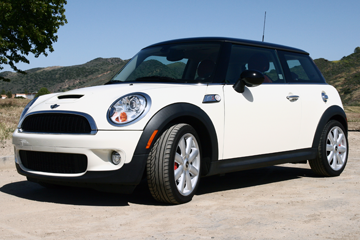 Select your generation above to search for brakes to fit your Mini Cooper.